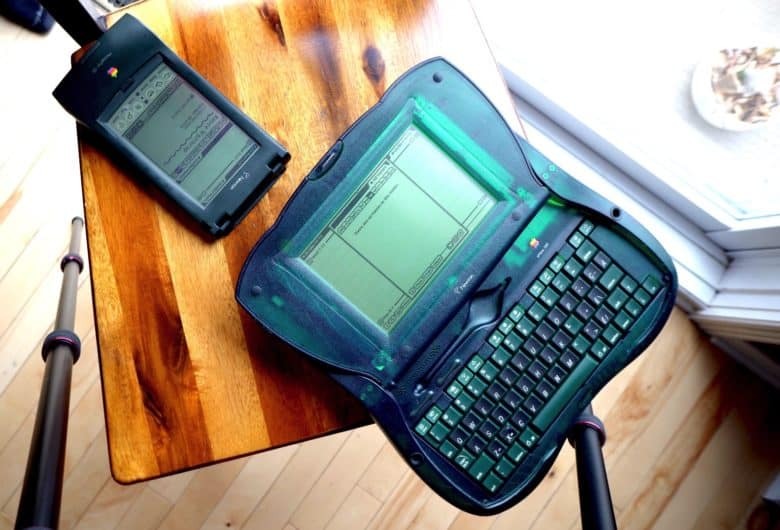 The Newton MessagePad 2000 brought many upgrades to Apple's doomed PDA line. 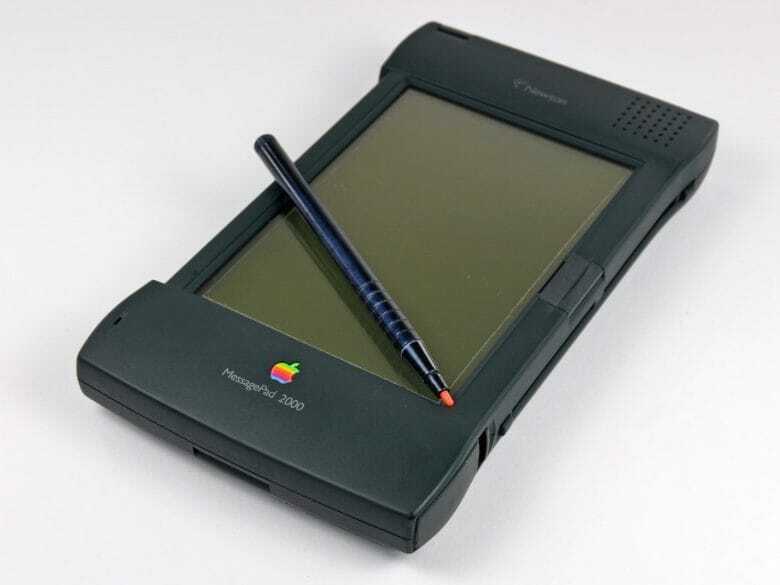 March 24, 1997: The Newton MessagePad 2000 brings major upgrades to Apple’s PDA line, including a far better display and a much faster processor. The best MessagePad yet by a wide margin, it quickly becomes a critical and commercial success. But it won’t be enough to save the doomed product line. 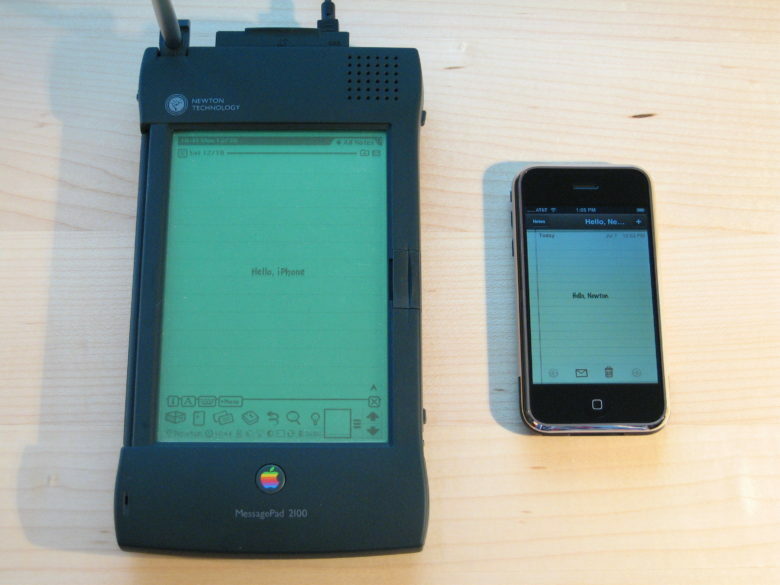 The Newton MessagePad looks gigantic next to an iPhone. August 2, 1993: Apple debuts the MessagePad, the first product in its Newton line of handheld personal digital assistants. 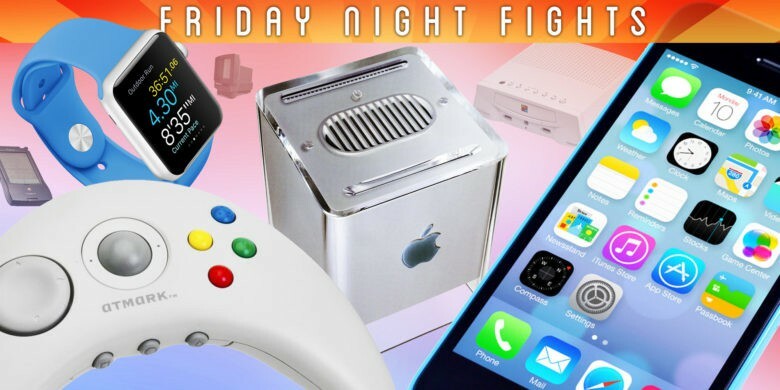 The most unfairly maligned product in Apple history, the Newton is a revolutionary device. It predates Apple’s push toward app-based mobile devices 14 years later. Often dismissed as a failure, the Newton ranks near the top of the list of Apple’s most influential creations. 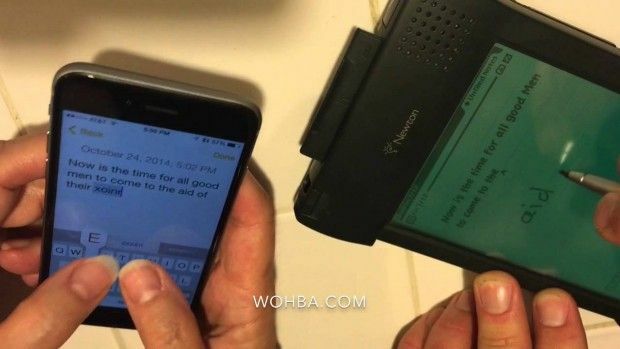 Almost two decades after Apple shuttered its Newton MessagePad platform, a new video compares the device’s handwriting recognition to today’s touchscreen-based typing on the iPhone.